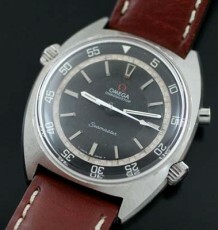 Unusual shaped Omega vintage watch from the 1960's. 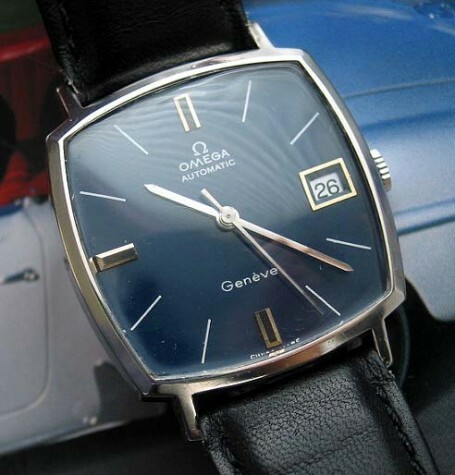 This is only the second such model of this watch that I have owned. The squared shaped case is made more unusual with the curved sides. 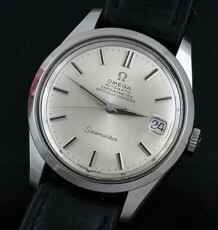 The watch reminds me of the square cased models made by Omega in the 1950’s. The stainless steel case is in excellent condition and the deep blue dial is a nice contrast against the steel and Onyx markers and steel case. 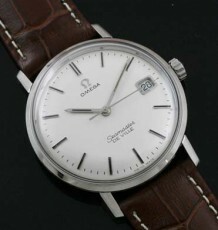 The watch is fitted with the Omega caliber 565, which was one of the most highly regarded watch movements from the 1960’s. The watch was just serviced and keeps excellent time. 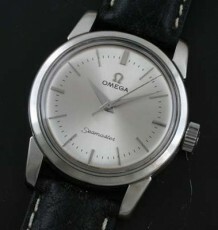 The watch measures 32mm wide by 37mm long and is supplied on a new padded Italian leather strap.